What are the worst retail company mission statements, visions, and values? Do the retail companies included on retail industry "worst" lists have the worst company mission statement, leadership visions, and core values that are driving them to the worst retail practices? While it's a subjective exercise to say which of the largest U.S. retail chains have the "best" or "worst" mission statement, leadership visions, and core values, determining which American retailers have the worst retail practices is more quantifiable. It seems logical that the retail chains that are consistently rated and ranked as the "worst" in comparison to their retail industry peers would also have the company guiding documents at their core that are driving their substandard performance. It's hard to believe that any company - particularly a customer-dependent retail company - would be on a mission to land on the Most Hated Retail Companies in America list. Yet, some of the largest U.S. retail chains have been identified as a most hated company. And some of them, like Sears and Walmart, have landed there more than once. What are the mission statements that have managed to create the most hated retail companies in America? Keep reading. AT&T - A Most Hated Company Is Not "Doing It Better"
On paper, AT&T is about connection, solutions, innovation, and "doing it better" than their competitors in the telecommunications, wireless, and entertainment industries. After repeat appearances on the "Most Hated Companies in America" list, however, AT&T has proven that a mission statement is only as good as the customer experience it creates. Best Buy's lack of a clear mission statement that guides the decisions and priorities of its employees has resulted in Best Buy's appearance on "hated" and "worst" lists in recent years combined with a customer satisfaction rating that is about as low as it can go on consumeraffairs.com. Shareholders, analysts, customers and anyone paying attention is not surprised to see Sears and/or Kmart rated and ranked as a "worst" retailing company in many ways. 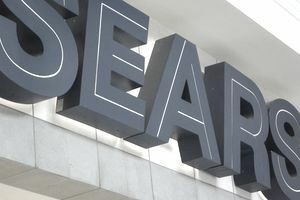 In recent years, Sears/Kmart has been given a prominent position on the Worst Retailing Companies to Work for list, the Retailers with the Worst Brand Reputation list, and the Most Hated U.S. Retail Companies list. Although Walmart is at the top of any retail industry list that measures revenue, the world's largest retail company also often finds itself at the bottom of lists that rate and rank specific aspects of the retail experience. Previously named as the Worst U.S. Grocery and Supermarket Chain, as well as one of the U.S. retail brands with the worst brand reputation in the world, the mission, vision, and values of Walmart, is leading the chain to be the biggest, but not the best.